We welcomed the announcement of Prime Minister Theresa May’s Industrial Strategy Green Paper in January, with its inclusion of the creative industries as one of the five key sectors open to direct government support. This sends a positive message to all those working in the creative industries of the value they add to the economy, and recognises the creative sector’s importance to the future growth and prosperity of the UK. It also gives us the opportunity as an industry to respond vigorously, to secure government support and ensure the best future for the UK design sector. We need you to submit your views. Design is central to the British economy, helping to drive innovation and improve productivity. Recent research by the Design Council shows that design contributes 7.2 per cent of the total UK economy. Embeds design principles at the heart of British industry. Promotes R&D funding and tax credits for innovative companies and contractors. Works towards a targeted sector deal for the creative industries. Gives people access to education and training to give them the skills needed for the design industry of the future. Develops Britain’s infrastructural capacities by investing in reliable communications, transport and energy. Following an encouraging settlement for design in the Autumn Statement, the Design Business Association and All-Party Parliamentary Design & Innovation Group (APDIG) call for the Government to think carefully about a long-term plan for the future of the British economy, by supporting the further growth of this vital sector of the economy. By placing the creative industries as one of five sectors open to direct government support (alongside life sciences, low-carbon-emission vehicles, industrial digitalisation and the nuclear sector), the design sector can help to lead the way as Britain’s economy adapts to leaving the European Union. Further detailed information about the Government’s industrial strategy can be found below. You tell us that you’re struggling to recruit the right talent for your business. What skills shortages do you have or expect to have? And what do you think has caused the shortage? Does geography play a part and can we link skills needs of the industry to skills provision by educational institutions in local areas? Or do we need a radical rethink? How would you go about developing your future workforce? The Government is offering the Creative Industries (CI) a Sector Deal. The design industry sits within this CI industry grouping but there isn’t a predetermined recipe for a Sector Deal as it’s not been done before. Given that the Government’s emphasis throughout the Green Paper is productivity and growth, what ideas do you have for driving growth in a) your business and our sector of industry (if that’s what you want); b) in your clients’ businesses; and c) more generally across the UK? The Industrial Strategy also aims to cultivate world-leading sectors. The Creative Industries is generally thought of as a core strength of the UK so how might we protect our world-standing, how might we showcase it to the world and how do we grow it? The design industry in the UK does a lot of work overseas. What could we be doing to enable you to grow your overseas markets? How would you go about embedding design at the heart of all British businesses to help them grow or to help them export their products or services overseas? We need to be bold in our ask of Government, so no idea is too big or too expensive at this stage. But we also know that the simplest ideas are often the best. So how would you kick-start growth and productivity in the UK that brings benefit to the design industry? Your views can be as detailed or as brief as you feel appropriate. Case studies that highlight where design has had clear benefits to the wider economy. Your views on where the government is seen as being particularly strong or weak in terms of promoting design and innovation. Your opinions on what is unique about the design sector that cannot be replicated in other areas of the economy. In January, the Government announced a consultation into building a new industrial strategy, where the public sector works with private companies to promote economic development. The initial views of the government outlining the way forward have been published as a so-called Green Paper, which is available here. 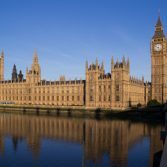 The Government has also announced that the Creative Industries will form one of the first five specific “sector deals”. A review, led by Sir Peter Bazalgette, will look into how the UK’s world-leading creative industries can lead the way in developing new technology and intellectual property rights, and it is expected that this submission will feed its way into this area of the economy.